Trust an Experienced Commercial Moving Specialist for your next Business Move! No job is to big or small for us. From large homes to the small apartments, we can handle any move. 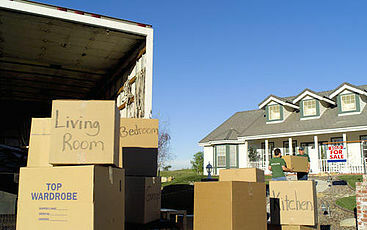 Full-service moving packages to make your long distance move easier. Commerical moving with honesty and integrity for the confidence you need. Need to move in a hurry? 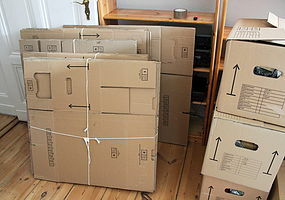 Our professional movers are ready to be of assistance. Moving from Maryland, DC or Northern Virginia? A-1 Moving is a professional, experienced and efficient Maryland based moving company, who has helped hundreds of families and businesses move their homes and offices locally, and across the country. Our mission is to provide effective solutions designed to ease your stress, and strategically manage your move from start to finish. Having a reputable moving company servicing Maryland, DC and Northern Virginia to handle your belongings is preferred by everyone preparing for a move. Our team of movers are some of the best in the industry and we have the reviews to support this claim. For an estimate of moving costs, complete the form below and we will provide you with a competitive moving cost estimate. Whether your moving from Bethesda, Potomac, Rockville, Gaithersburg, Kensington, DC or Arlington, we are fully equipped to handle your relocation. Our Satisfied Customers Speak Volumes!